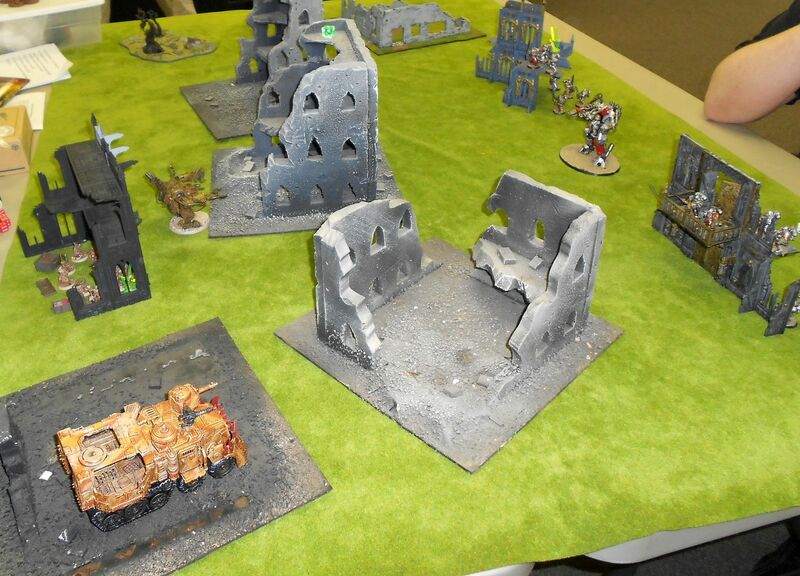 Another 750pt league game, this time against Josh's Grey Knights. I knew I'd be facing that rotten dreadknight, so I came prepared with a mass of klaws to take it down, led by the Waaaghstrosity himself, Ghazghkull Thraka. 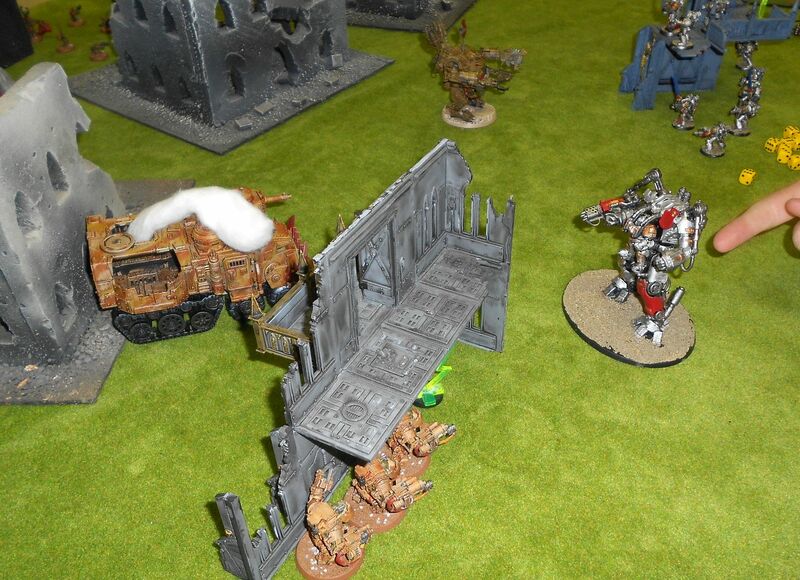 Aside from Ghazzie and a squad of meganobs in a battlewagon, I didn't have many points left. Two lobbas, a dread, a squad of grots and two lobbas rounded me out. 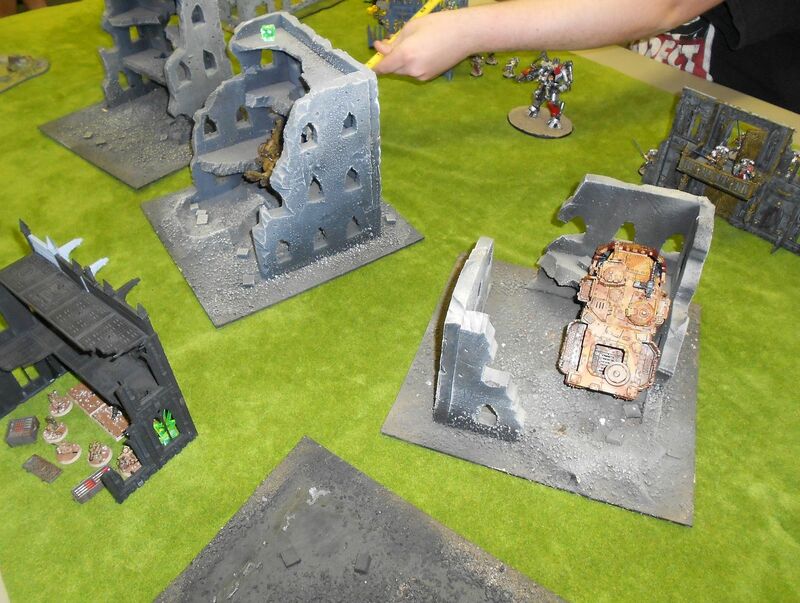 Josh took the rotten dreadknight, two strike squads loaded with psybolts and psycannons and psyunderwear, led by a terminator-armored inquisitor with psycannon, psyhammer and psygoldpaint. 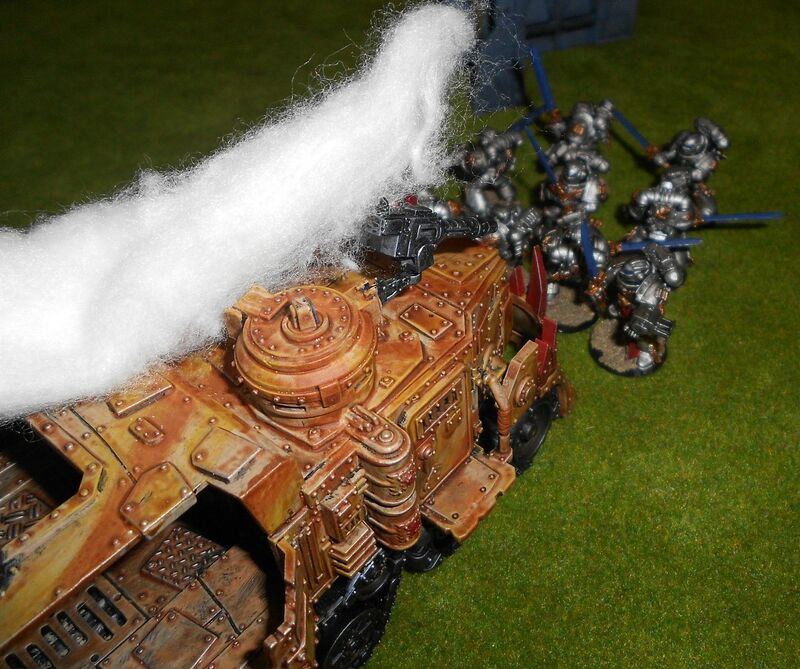 We were playing Big Guns Never Tire with Dawn of War deployment. I set up and went first, charging across towards the shiny, shiny psyenemy. A little bit of fire comes my way, but nothing effective yet. Turn two I blast the wagon through and disembark, sending Ghazzie towards the rotten dreadknight, megas towards the inquisitor's psysquad, and dreadnought towards the other psysquad, calling the Waaagghh! 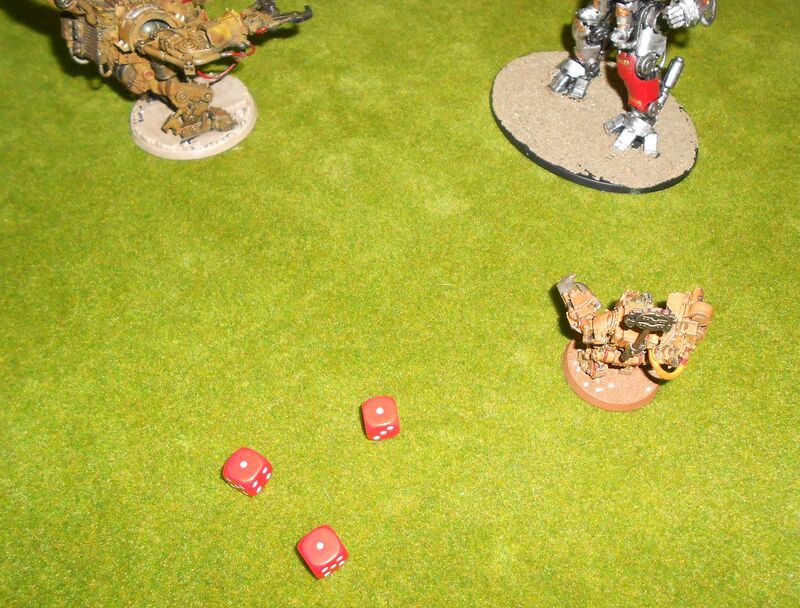 Somewhat less confident now but committed, Ghazghkull makes the charge and has one measly wound to deflect with his 2+ invulnerable before getting to swing with his bucket of powerklaw attacks. And...another one. The other fight with the meganobs goes much better, wiping out the psygreyknights and inquistor for the loss of a few megas. Rotten dreaknight moves towards the megas, rending psycannon fire takes a big shoota off of the wagon and wrecks the dread. Grey Psyknights psyassault the wagon and psyhammerhand attacks wreck it. Rotten dreadknight finishes the meganobs, and it's pretty much over except for a few turns of grots hiding and lobbas being ineffectual. I lost horribly, but it was still a good time, and Josh is always a pleasant opponent. 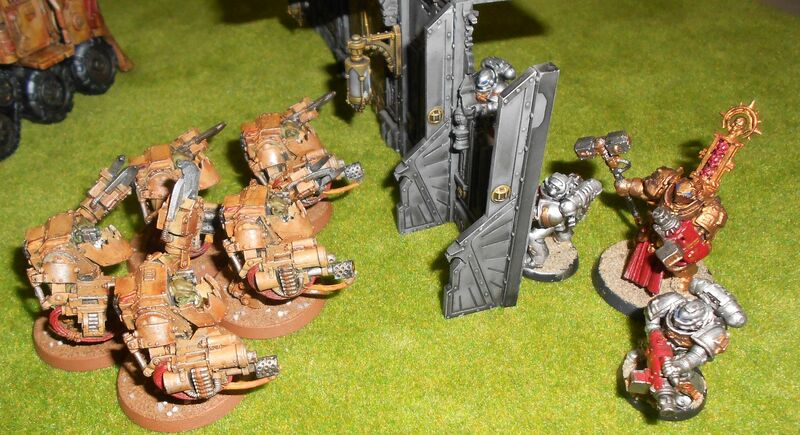 And I may have lost the game, but I gained a great 40K story! You sure you weren't rolling my dice? Rotten dreadknight indeed. It was rough, but I'm sure it will work out better next time.